"Super Street Fighter IV 3D Edition" Ships 1 Million Units! 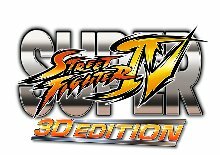 Capcom Co., Ltd. (Capcom) is pleased to announce that "Super Street Fighter IV 3D Edition" for the Nintendo 3DS has shipped one million units worldwide. "Super Street Fighter IV 3D Edition" adds a visceral 3D depth effect and perspective, a fully featured online matchmaking system, the ability to play against other Nintendo 3DS owners with only one Game Card, and more new content for a refreshing, complete experience. Players can also utilize the system's Touch Screen to control their character, providing beginner players with a simple control scheme to enjoy the action. These features, possible only on the Nintendo 3DS system, have received high praise from users and have successfully expanded the audience for our fighting games. In capturing both new fans and longtime fans of the series, we were able to reach the one million unit mark for this title. "Street Fighter" was first released in the arcades in 1987. This was followed up in 1991 with the smash hit "Street Fighter II", and as of April 12 2011, the series as a whole has shipped over 31 million units on home consoles worldwide. 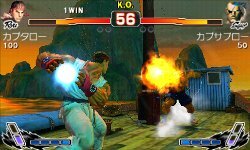 The innovative battle system found in the "Street Fighter" games helped to establish the fighting game genre. Currently, Capcom has announced that several titles are in development for the Nintendo 3DS, including "Resident Evil The Mercenaries 3D", "Resident Evil Revelations" and "Mega Man Legends 3". As always, we at Capcom will continue to pursue our "Single content multiple usage" strategy by making advancements on new hardware to maximize sales while leveraging our brands to bring maximum satisfaction to as many of our users as possible. *Nintendo 3DS is a trademark of Nintendo Co., Limited. A New Chapter in Fighting Game History! New Titles Featuring "Street Fighter" and "TEKKEN" in the Works from Capcom and NAMCO BANDAI Games!